What do you get when you blend mango, kiwi, and apple? A delicious smoothie! 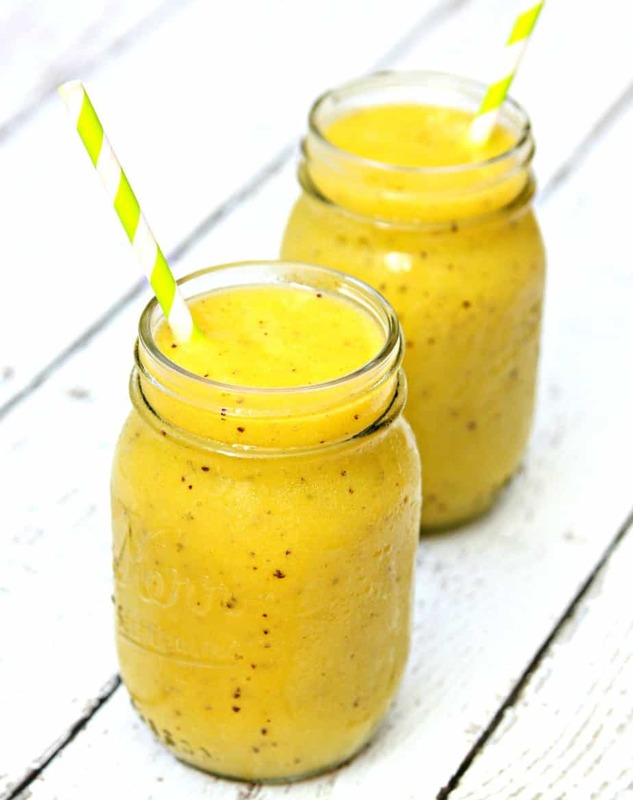 This Mango, Kiwi and Apple Smoothie is my new favorite smoothie. It’s perfect for breakfast and a great afternoon snack. Smoothies are the perfect way to get important nutrients in your diet. There are many benefits to making smoothies and this might be my new favorite smoothie recipe. Step 1: Peel and dice mangos, kiwi and apple. Step 2: Add fruit, juice and ice to blender and blend until smooth. Do you have a favorite smoothie recipe you make all the time? I bet my kids would love this! Great SRC choice. I am loving smoothies this summer, so I just may have to try this one!